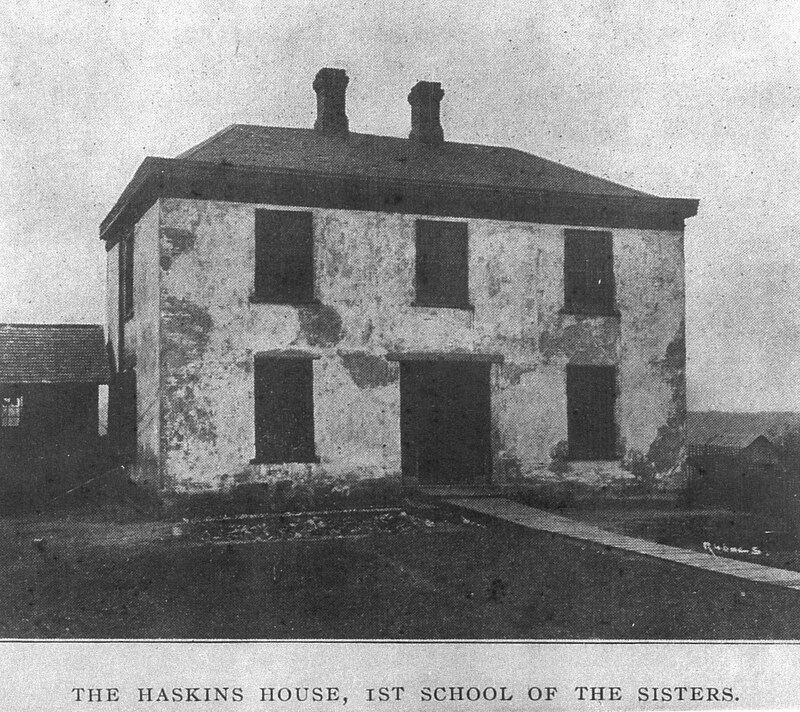 Pioneer Sisters-teachers of the Daughters of Charity from Emmitsburg, Maryland, come to La Salle to serve in the first Catholic school. 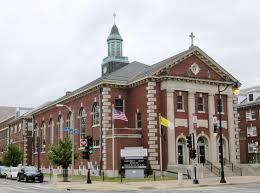 Due to the rapid growth of the Church in Central Illinois, Pope Bl. 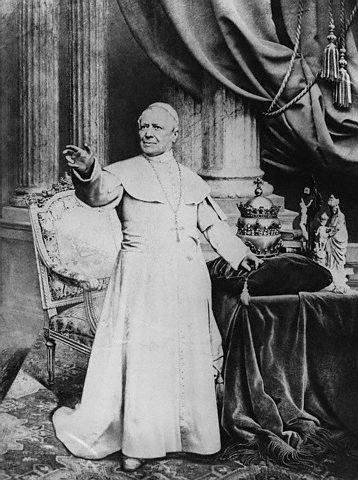 Pius IX erects a new diocese encompassing territory from the Mississippi River to the Indiana border. 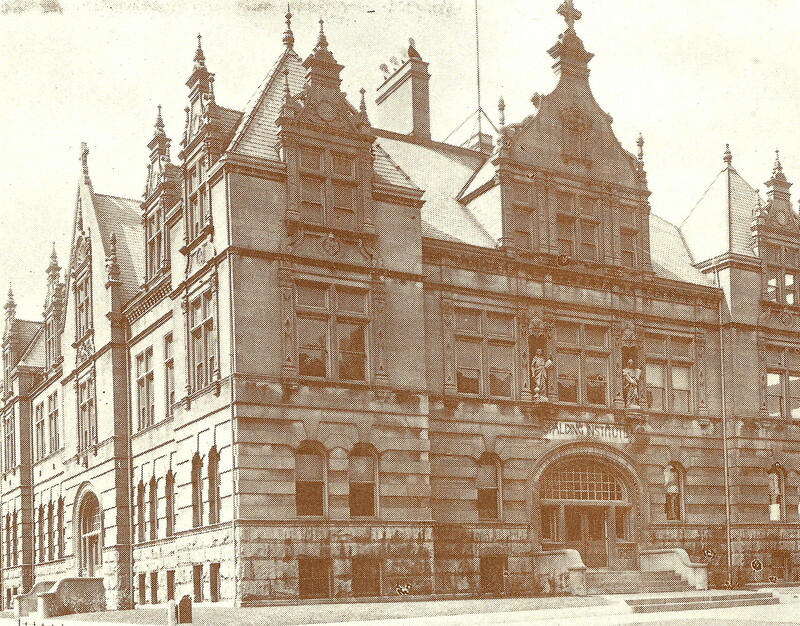 Peoria is chosen as the see city. 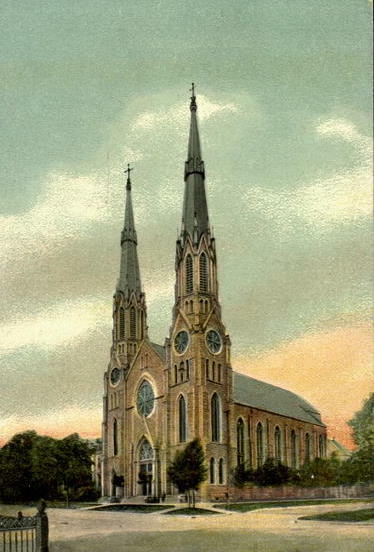 The diocese is one of forty others he established in the United States. After Fr. Michael J. Hurley of St. Patrick Church, Peoria, refused the honor of becoming the first Shepherd of the new diocese, 38-years-old Fr. 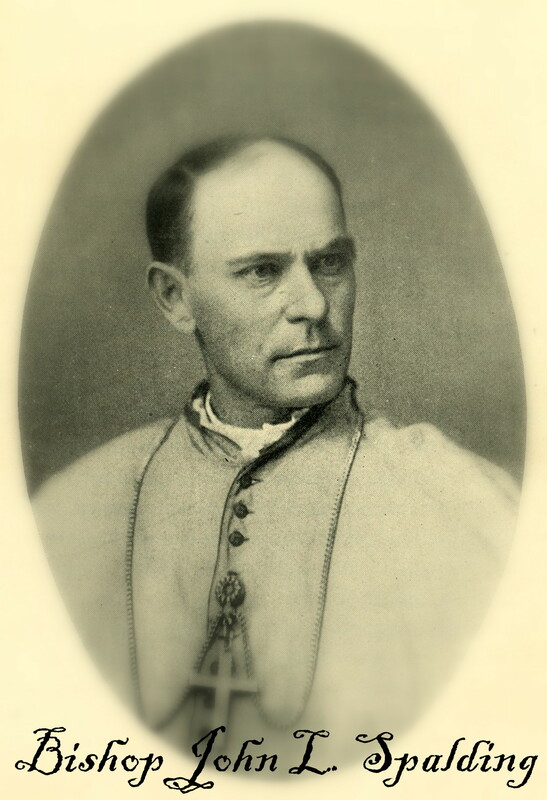 John Lancaster Spalding of Kentucky is consecrated the First Bishop of Peoria, with Fr. Hurley being his Vicar General. Exactly four years after the first stone was laid, the new Cathedral of St. Mary of the Immaculate Conception is solemnly dedicated. However, young Fr. Benedict Spalding, the master-builder and Bishop’s brother, would never see the edifice completed due to his early death. At his own expense, Bishop Spalding builds and equips the famous Spalding Institute, a model boys’ high school named for his brother, and makes it his personal gift to the diocese. 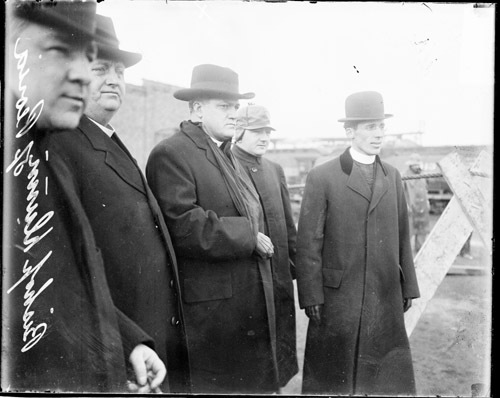 Edmund M. Dunne, the newly-appointed Bishop of Peoria, drops everything to bring aid and comfort to the suffering at the Cherry Mine disaster night and day, though he carries a broken arm in a sling. A group of priests never leaves the scene, consoling the survivors. Sisters of various languages minister to the poor widows in any way possible. With the generosity of the Knights of Columbus, the Catholic student foundation at University of Illinois in Champaign is established. It becomes the largest Newman Center built in the US and the only one to have a residence hall – a distinction that remains true even today. Fulton J. Sheen of El Paso, IL, is ordained a priest of the Diocese of Peoria. His holy and remarkable life would leave an unforgettable mark on people of all walks of life. On the Eve of the Immaculate Conception, the Third Bishop of Peoria Joseph H. Schlarman publicly dedicates the Diocese under the patronage of Our Lady of Perpetual Help, and begins the great ten-year renovation of the Peoria cathedral. The diocesan Catholic paper “The Peoria Register” (today’s “The Catholic Post”) is established, starting with almost 29,000 copies going out each week. 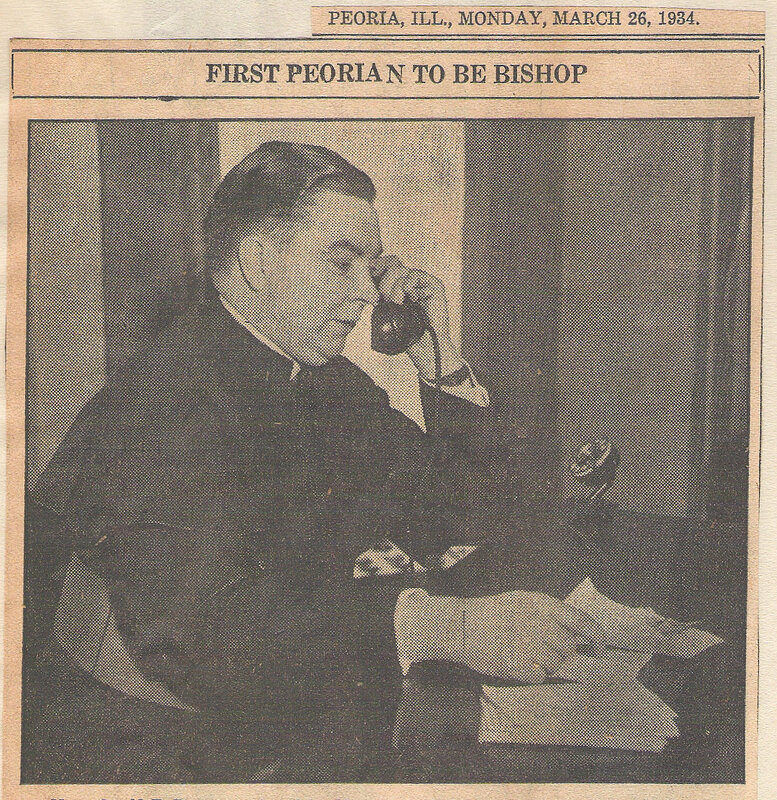 The first issue heralds a Peoria-native, Rev. Gerald Bergan, becoming the Bishop of Des Moines, IA. 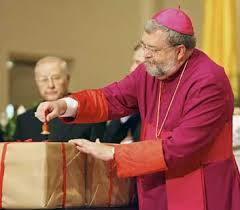 Auxiliary Bishop of Chicago William E. Cousins becomes the Fourth Bishop of Peoria. 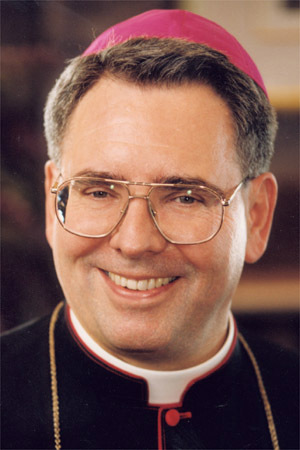 Bishop of Dodge City, Kansas, John Baptist Franz is named the Fifth Bishop of Peoria. As a participant at Vatican II Council, he implements new Church regulations in the diocese without delay. 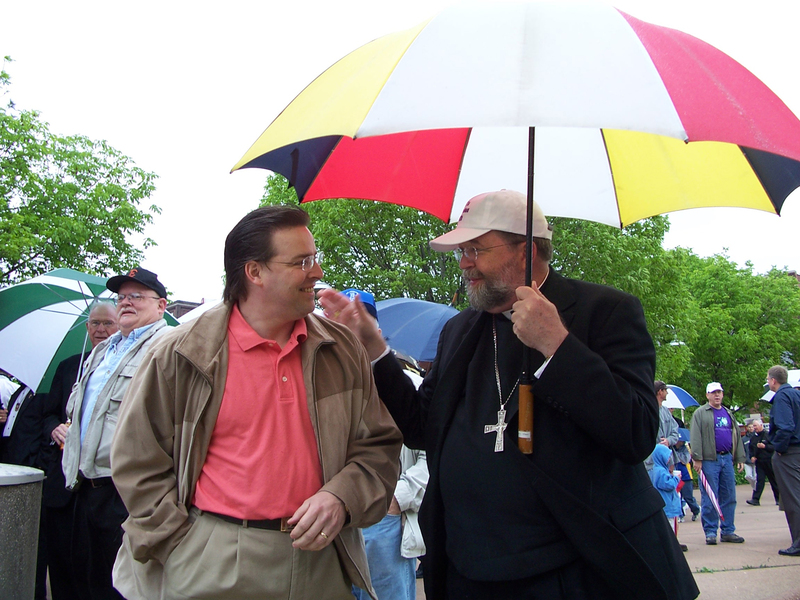 The Director of the National Catholic Rural Life Conference and Peoria Diocese native, Rev. 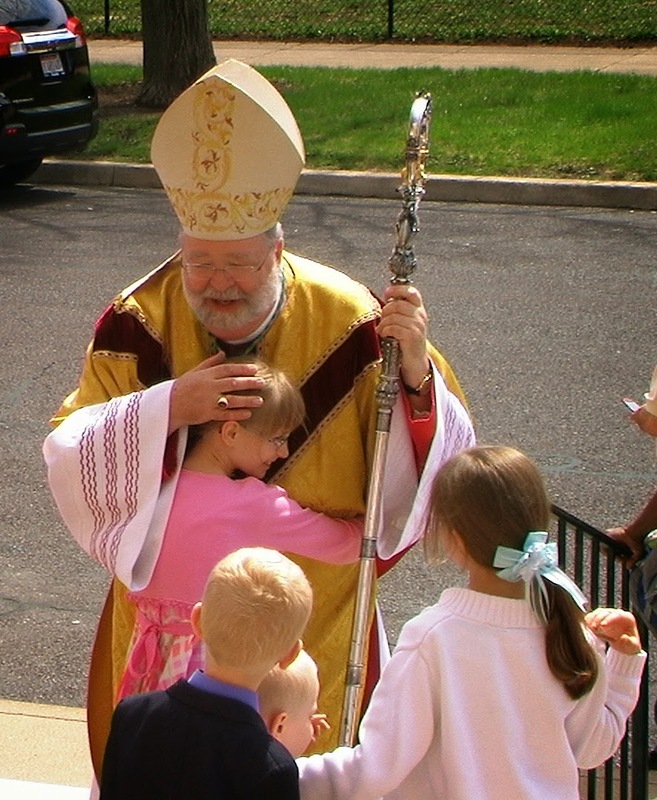 Edward W. O’Rourke becomes the Sixth Bishop of Peoria. Preaching by his own simple life earns him a title “Friend of the Poor”. Bishop O’Rourke ordains the first diocesan class of eighteen permanent deacons at St. Mary Cathedral. 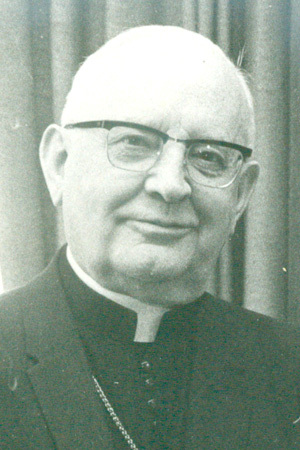 Vocation Director and Chancellor Fr. John J. Myers is consecrated the Peoria Coadjutor Bishop. 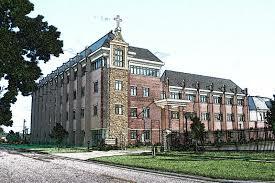 He launches the well-known Emmaus Days vocation retreats for young men. 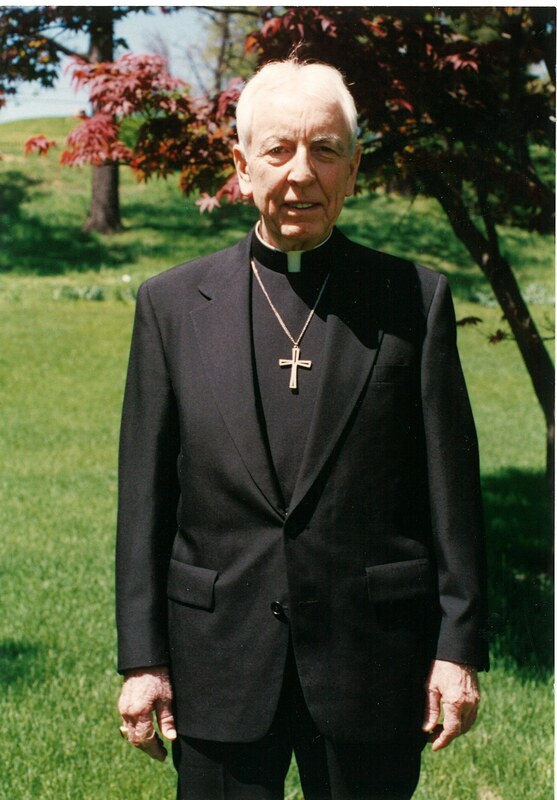 Upon Bishop O’Rourke’s retirement, Bishop Myers became the Seventh Bishop of Peoria. His first pastoral letter about the rights of the unborn draws national media attention, since "there is, and can be, no such thing as an authentic 'pro-choice' Catholic." 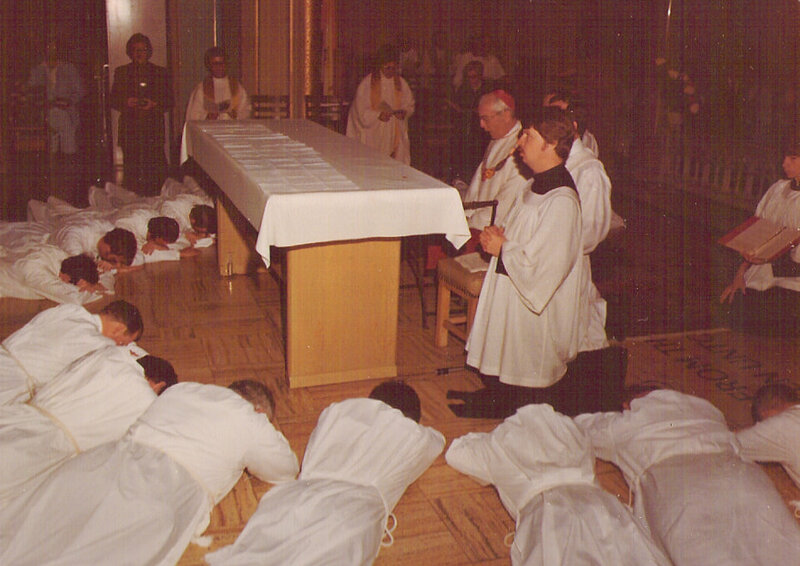 During his time, the Diocese becomes renowned for its many priestly vocations. Auxiliary Bishop of Fort Wayne-South Bend, Indiana, and Holy Cross Father Daniel R. Jenky, C.S.C., becomes the Eight Bishop of Peoria. 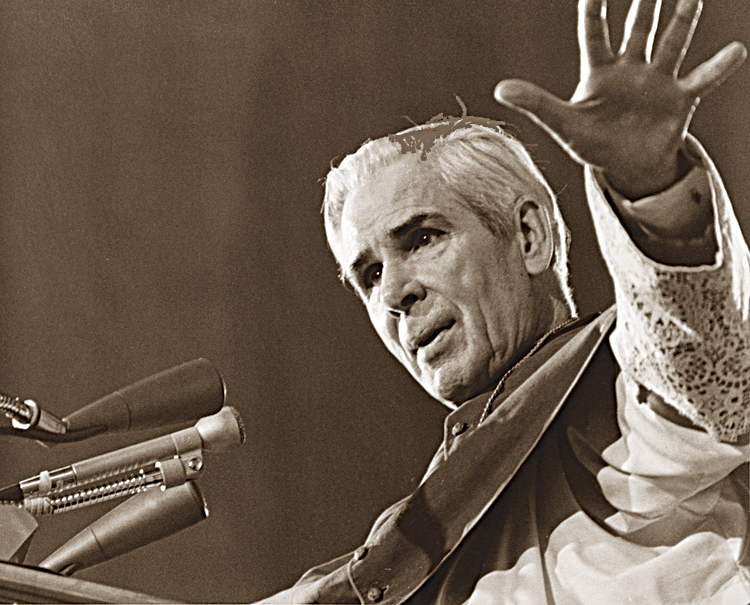 Bishop Jenky officially petitions the Vatican to open the Cause for canonization of Archbishop Fulton Sheen, priest of the Diocese of Peoria. As his call to Catholic men to stand up for their faith, the Bishop initiates the annual Diocesan Men’s March, bringing together men of several generations from across the diocese and beyond. Newly-built Spalding Pastoral Center in Peoria named in honor of our first Bishop houses under one roof Bishop’s chancery, diocesan offices, large conference center and diocesan museum. 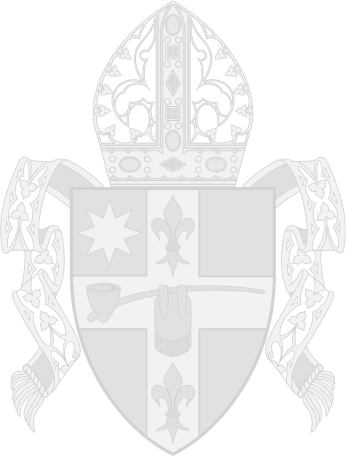 Bishop Jenky initiates a GIFT (Growing In Faith Together) program to renew and reorganize our parishes to ensure continuation of vital Catholic ministry in the midst of societal changes. 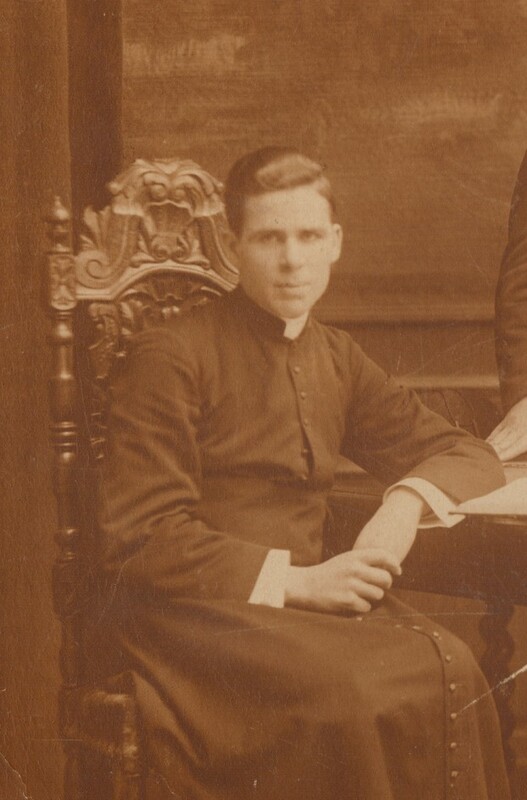 Servant of God Archbishop Fulton J. Sheen is proclaimed Venerable, a significant step in the cause of his canonization. 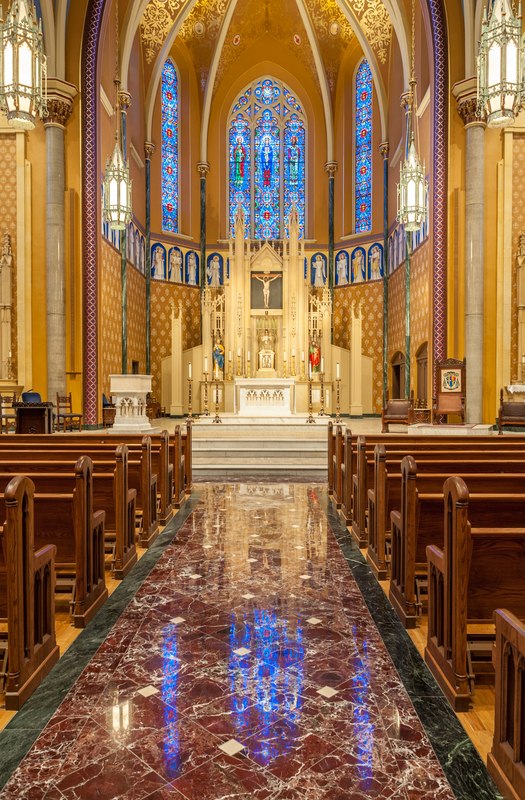 After nearly two years of outside repairs, a historic restoration of the cathedral is completed by the Daprato-Rigali Studios of Chicago. 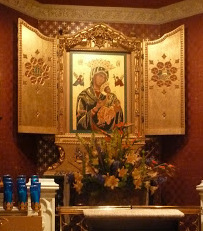 The church once again features deep colors with a new golden dome, starry sky, various murals, renovated altars and much rediscovered beauty of the Mother-church of the diocese and Peoria landmark.